Design Vim is an Interior Design consulting firm founded by Hailie Thomas and Katy Hoxsey in 2013. The word Vim is defined as robust energy and enthusiasm, which is the perfect description of Hailie and Katy as individuals and as a team. Our firm is a Female-Veteran Owned company located in Boise, ID, offering a diverse range of services for a variety of project types. 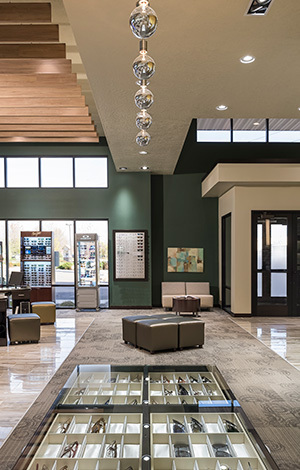 With experience in both commercial and residential projects, our award-winning designs are developed and executed with the client's goals and satisfaction always in the forefront. By working closely with the end user, giving each client personalized attention, and keeping them involved in their project as little or as much as they like. We deliver real results for collaborative and well-rounded design solutions. We're passionate about what we do and are passionate in our own lives. We care more and this shows in our quality. We believe in what we do, and are optimistic about having the best clients and deserving every job. We possess the energy necessary to achieve excellence and win your business. We build relationships, and push ourselves -- and those around us -- to succeed. We are adaptable and will always find a way to achieve your goals. THE DESIGN PROCESS: As your Interior Design Professionals, we will work through every phase of your project to ensure that the final result exceeds your expectations and ensures the health, safety and welfare of all who may use or occupy the space. We can also assist in assembling the other members of the project team, such as: the architect, general contractor, and various consultants for (lighting, commercial equipment, acoustics, art procurement, along with many other valuable trades). Design Development refines the concepts approved in the schematic phase. 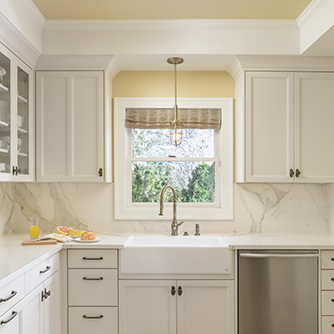 This service includes finalizing the project's specifications, specifically the architectural plan, details, lighting, materials, furnishings, equipment and budgets. Upon the approval of the Design Development Documents, the Construction Document phase proceeds with the development of floor plans, specifications, and other documents for the construction of the project. Construction Documentation often involves requires the most interfacing with other design team professionals and consultants to ensure all aspects of the project are properly documented for construction purposes. Upon completion of the Construction Documents, the Interior Designer assists the owner in selection of a contractor who will then handle all building permit services. 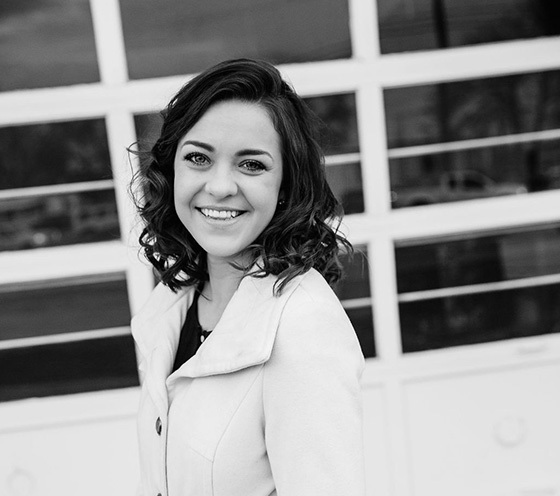 Born and raised in Boise, Idaho, Leanna enjoys being a part of the quickly the expanding culture of her home state. She attended Texas Christian University where she majored in Interior Design with an architectural lighting minor. After graduating in 2016, she worked in the industry at high-end hospitality and multi-family design firms with Starwood Luxury Hotels, Ritz Carlton, Martin Fein Interests, and Hillwood Development clientele. Her style emphasizes contemporary aesthetic with a historic flare. She has considerable knowledge in commercial furniture and textiles. In 2018, she moved back to Idaho with her husband, and they enjoy spending their time watching theater productions and visiting the various exhibits at local museums. In her free time she loves expressing herself through drawing, painting, and photography. Art has been an integral part of her life since she was old enough to hold a pencil. She as earned several awards from the Idaho State Fair for entries in Photography and Pencil Drawings. With 12 years of classical ballet training she loves to continue to stay active through running, Pilates, and cross-country skiing. Anyone interested in a glimpse into Katy Hoxsey's creative realm needs to look no further. Katy's work has been featured nationally on the HGTV network, and she has won numerous residential design awards. She has a deep affection for historical buildings and Scandinavian-style design. While serving with the Army in Operation Iraqi Freedom III 2004-05, Katy was able to utilize her design education by aiding in the funding of several public works projects: women's centers, schools, and clean water systems, to name a few. Working on building projects in a third world country helped Katy better appreciate the high standards by which American builders adhere, which she takes great pride in preserving and enhancing. If a trip to the Middle East doesn't align with your upcoming travel plans, just hang around Boise. 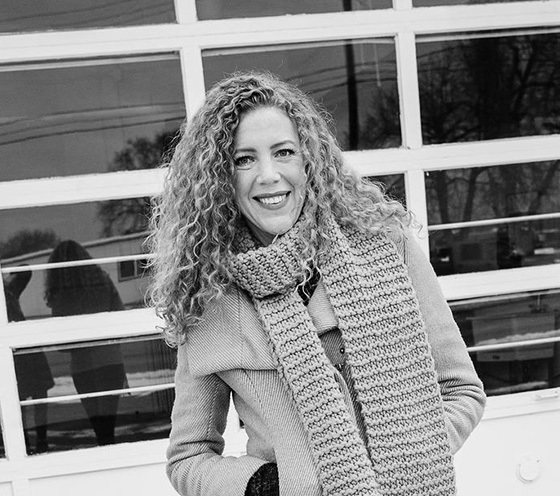 Katy has become a fixture of the Boise design scene, establishing herself as an expert in commercial flooring and architectural finishes. Katy obtained her National Council for Interior Design Qualification in 2009. An Idaho native, Katy graduated from the University of Idaho in 2006 with a Bachelor of Fine Arts degree in Interior Design, with minors in architecture and fine art. She is a past president of Interior Designers of Idaho, a devoted member of PEO (a philanthropic educational organization) and Business Networking International of Southern Idaho. And don't be scared off by this Veteran of Foreign War. These days she most enjoys traveling, time with friends and family, and being with her husband, daughter, and handsome pooch outdoors. 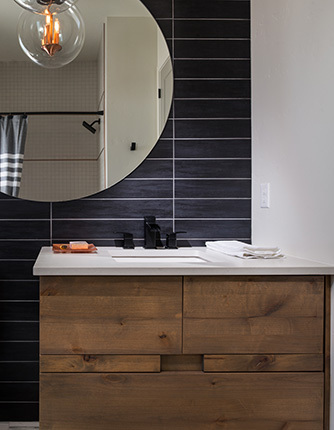 An interior designer in Boise for more than a decade, Hailie Thomas has experience in a wide variety of design genres. She specializes in modern design with expertise in commercial furniture and space planning. A native of Idaho, Hailie attended the University of Idaho and graduated in 2004. She earned a Bachelor of Fine Arts in Interior Design, with a minor in architecture. Hailie gained deep Vandal pride during her studies up North as a member of Delta Gamma Fraternity. Since graduating, Hailie has applied her strong design sensibilities and 'German Swim Coach' work style as an associate in fast-paced, well-established architecture firms. Her experience collaborating closely with architects, engineers, and other project consultants combined with her dedication to perfection and hard work, have assisted Hailie in becoming successful in keeping large-scale commercial projects on track and bringing quality interior environments to life. 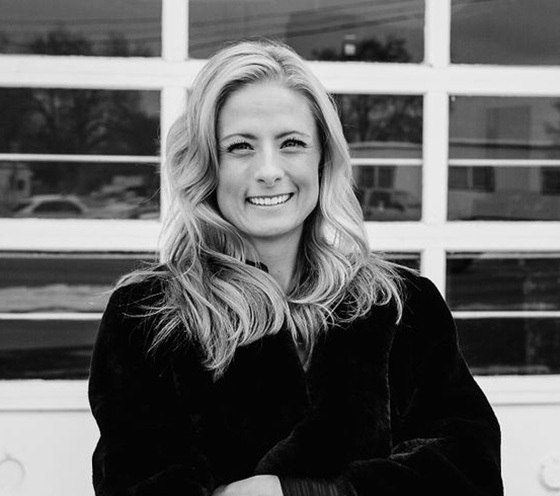 Hailie became a Leadership in Energy and Environmental Design Accredited Professional in 2009 and is the past president of the Interior Designers of Idaho. Hailie is also an adventure seeker, list maker, and mom. Her job title has recently expanded to include- CEO of the Household, Laundry Machine Operator, Owie Fixer, Hug and Kiss Expert, and Birthday Events Director, to name a few. She lives a happy, domesticated life on the Boise Bench with her husband and two children. The family resides in a mid-century classic house, designed by noted Boise architect Arthur Troutner. She and her husband are working to restore their Boise gem to the home Troutner envisioned in 1951 - Hailie's favorite design era. While studying Interior Design at the University of Idaho, Hailie and Katy became acquainted. But it wasn't until they both went to work for an architecture firm in Boise, ID, that they became insta-friends. They shared an interest in investing time in industry organizations as board members for Interior Designers of Idaho and Interior Design Education and Legislation for Idaho. When they wanted to let their hair down, Hailie and Katy would go alpine skiing, take tennis lessons, attend sewing and cake decorating classes, and go hiking with their hyper bird dogs. They took things up a notch when Hailie talked Katy into joining the Team in Training for the Leukemia and Lymphoma Society. They both ran two full marathons, a handful of half-marathons, and each raised upwards of $10,000 toward the cause. After teaming up to pursue so many professional and extracurricular activities, the ladies realized they would make a great interior design duo. In 2013, they decided to combine their unique strengths to create Design Vim, LLC. They hit the ground running (that marathon training really came in handy ;)), and haven't looked back. Building Contractors Association Parade of Homes 2015, Zach Evans Construction: 2nd Place Overall Interior Design, 2nd Place Master Suite and 1st Place Best Decorated with Echelon Fine Homes. Building Contractors Association Parade of Homes 2016, Zach Evans Construction: 2nd Place Overall Interior Design, 2nd Place Master Suite, 2nd Place Exterior Design. NCIDQ® Certificate Number 023608, 2007 *NCIDQ® (National Council for Interior Design Qualification) certification identifies the knowledge and professional practice of Interior Design protecting the health, life safety and welfare of the public. LEED® Accredited Professional, 2009 *LEED® (Leadership in Energy and Environmental Design) was developed by the U.S. Green Building Council (USGBC). LEED® provides building owners and operators a concise framework for identifying and implementing practical and measurable green building design, construction, operations and maintenance solutions. NCIDQ® Certificate Number 25658, 2009 NCIDQ® (National Council for Interior Design Qualification) certification identifies the knowledge and professional practice of Interior Design protecting the health, life safety and welfare of the public. Green is more than just a color. Design Vim takes a green-minded approach to every design decision. Whether it's choosing a product based on its environmental qualities, using manufacturers with a dedication to using greener methods, or selecting a product that will outlive and out-perform the rest, Design Vim is committed to enhancing interior environments by using methods and products that help improve our planet's future. Our LEED AP Certified Partner and a member of the US Green Building Council, Hailie Thomas, takes responsibility in protecting our natural resources and is aware of the negative impacts the building industry places on the earth. Hailie can assist in the preparation and submittal of LEED® documentation to obtain formal LEED® Certification from the USGBC.